AutismWonderland: Will 'Autistic' Replace the R-Word? Not On My Watch It Won't. Will 'Autistic' Replace the R-Word? Not On My Watch It Won't. As a writer, I don’t want to censor anyone’s artistic license. 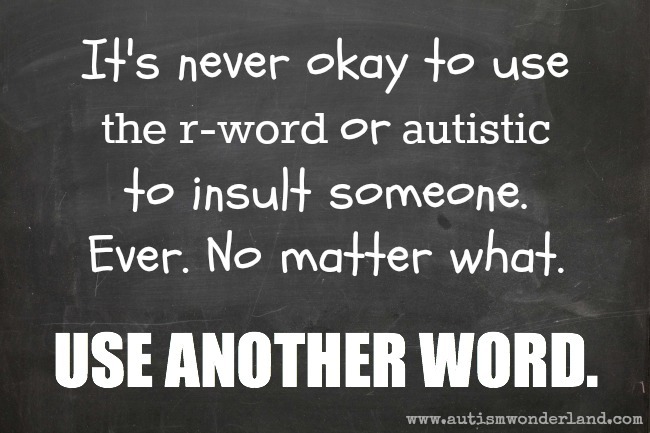 But as a mother raising a son with autism – I want these insults to stop. In every single form. 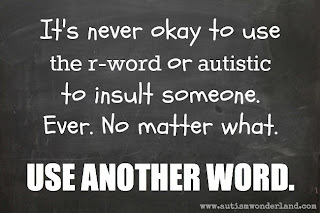 Read my 7/24/13 post on Parents.com/ToTheMax - Is 'Autistic' the New R-Word?